Between 1904 and 1908 Wassily Kandinsky and Gabriele Münter travelled constantly in search of new experiences and inspiration for their painting. During their journeys they visited several European countries such as France, Holland and Italy and also northern Africa. On returning to Munich in 1908, they spent long periods in Murnau, where Münter bought a house in 1909. The village’s picturesque surroundings and characteristic quiet streets would become one of the themes most frequently depicted by both artists. 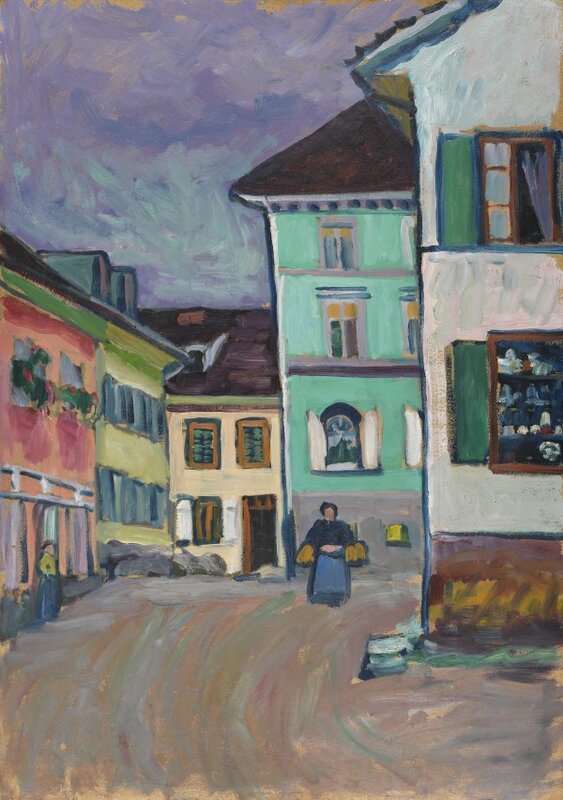 This colourful rendering of the Johannisstrasse displays the influence of the Fauve painting that Kandinsky had seen in Paris. It shows a view of the beginning of the street and, on the right in the background, the façade of the Griesbrau Inn, where the couple always stayed and which still stands today. Murnau. Top of the Johannisstrasse was one of the works kept by Gabriele Münter in 1914 when Kandinsky was forced to return to Russia on account of the war. 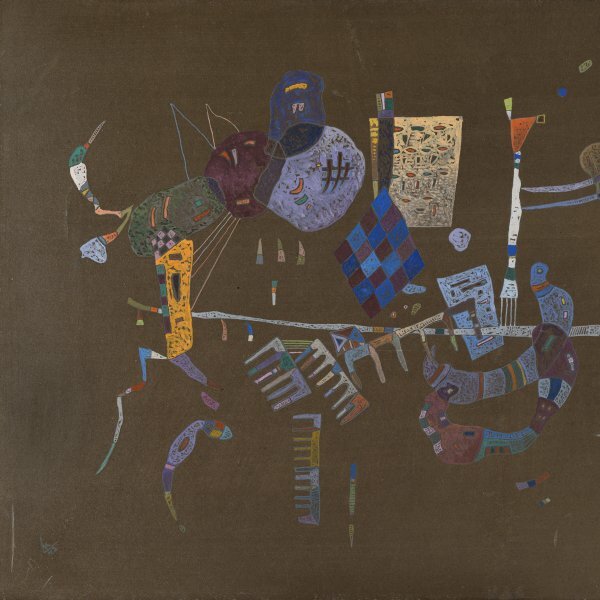 It was acquired by Baron Thyssen- Bornemisza in 1987.